Controlling unwanted pests that can devastate crops, such as leaf-feeding insects, has always been a major challenge in farming. Today, farmers have an arsenal of insecticides to help minimise damage to crops. However, pests can develop resistance, and particularly when the same insecticide is used repeatedly. Associate Professor Simon Baxter’s research focuses on identifying genetic mutations that cause insecticide resistance, to help understand how these products kill pests and how they can be better utilised. 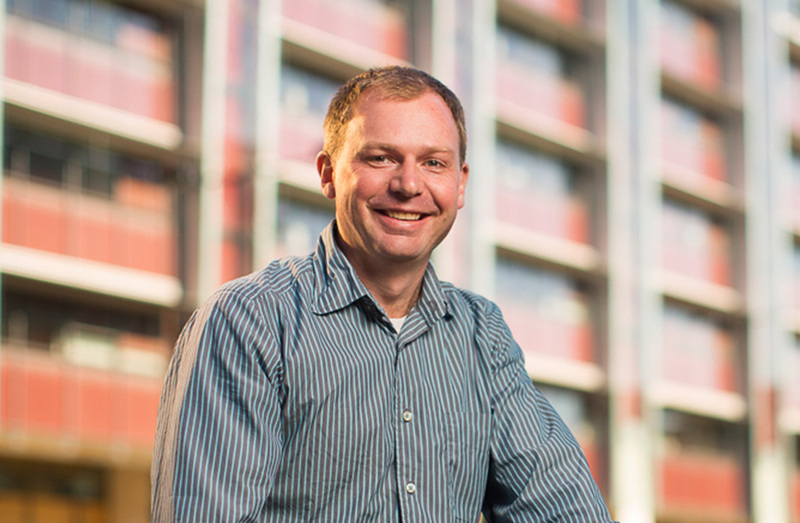 Working in the University of Adelaide’s School of Molecular Life Sciences, with funding from the Australian Research Council and a Ramsay Fellowship, Simon’s current work focuses on Bacillus thuringiensis (Bt) bacteria, which can produce hundreds of different types of toxins that each kills specific groups of insects. The genes that encode Bt toxins are now used in some transgenic crops, such as cotton. While transgenic crops remain a highly controversial topic in politics and society, and can be problematic for organic farmers, their use could help to maximise crop yield and minimise crop losses due to insect damage in the future. The ultimate goal of the research relates to food security. With the world’s population predicted to reach nine billion by 2050, we will need to produce more food globally to sustain demand – hopefully at minimal cost to our environment. While they won’t be the sole answer to world hunger or human sustainability, transgenic crops are likely to form part of an integrated pest management solution. Understanding the specific mechanisms Bt toxins use to kill targeted pests may help society decide whether to adopt this technology further. Simon’s interest in this area was first piqued in his undergraduate years at Monash University when he took on a part-time research job investigating how Drosophila fruit flies adapt to different climates. Simon decided to undertake a PhD at the University of Melbourne, focusing on molecular mechanisms of insecticide resistance in agricultural pests, before moving to the UK to study insect adaptation and evolution. He then joined the University of Adelaide in 2012. This entry was posted in Environment, Researcher profiles and tagged ARC, Crops, farming, food security, insects, Molecular Life Sciences. Bookmark the permalink.